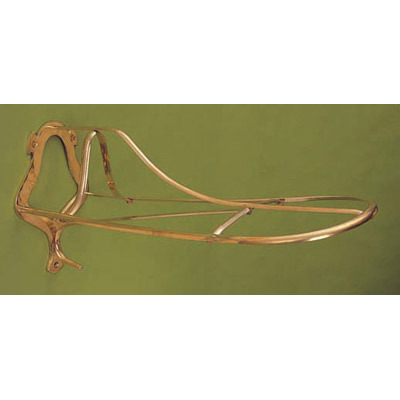 Store your saddles safely and in style with this all-weather rust and corrosion-proof brass saddle rack. 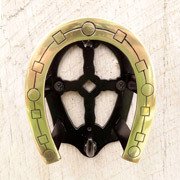 Matching mounting hardware included. 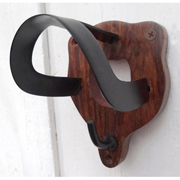 This saddle rack design is not only a handsome and classic feature in your tack room, but is styled so that minimal pressure is placed on the saddle panels, allowing them to retain the shape of your horse's back- not the storage rack. 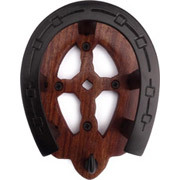 This wall-mount saddle rack is suitable for mounting in a stacked configuration to save space. 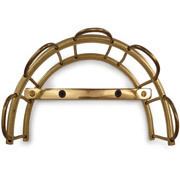 Rack includes a plain hook below the rack perfect for storing bits, stirrup irons, or other items. "Super pleased! high quality product!" 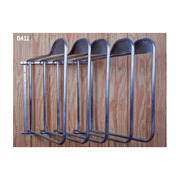 Review Text: I bought 6 of these saddle racks for my tack room in the 1940's dairy barn we're restoring and converting to a stable. I am SO IMPRESSED! 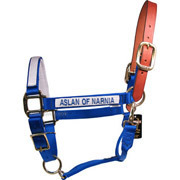 They are super heavy duty and seem to be made of a high quality material. 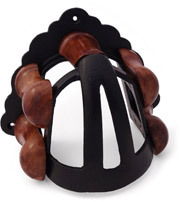 Even my dad, a veterinarian, was really impressed with the quality and value of these saddle racks.